Financial Inclusion and Micro Banking have become very prominent buzzwords in the Indian banking marketplace. Indian banks have BCs (Banking Correspondents) visiting customer houses and providing banking services at-home for quite some time. So far these people have been using a bulky expensive device with limited features. Importantly, Indian Government’s Adhaar initiative which provides a base ID to each Indian, has become the baseline reference for providing these services. 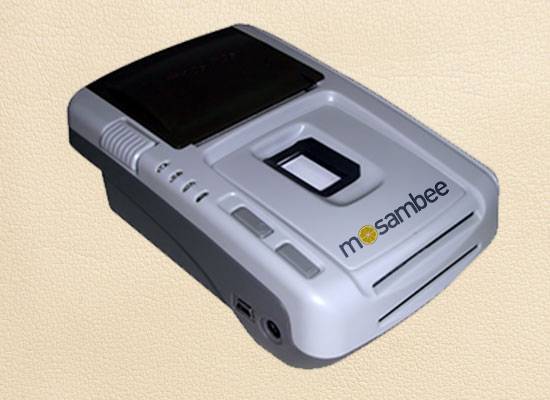 Mosambee has modified its mPOS product to add functions associated with an ATM (Cash Withdrawal and Cash Deposit) to create a product called mATM. mATM enables banks to appoint merchants and other individuals as BCs at a fraction of the cost and also enable them to provide bank-agnostic ATM services. For this the system supports Adhar Enabled Payments System (AEPS) through integration of a STQC certified biometric device. The system has been tested for a seamless integration with the UIDAI/AADHAAR infrastructure. Enable Customers of any bank to Withdraw Cash. The BC physically hands-over the cash to the Customer. Enable Customers of any bank to Deposit Cash. The BC physically accepts the cash from the Customer and credits the Customer’s Account immediately. BC can also process NEFT/RTGS and IMPS payments on behalf of the customer. we want 250 m ATM for our retail point in rural Village. We will be in about couple of months.